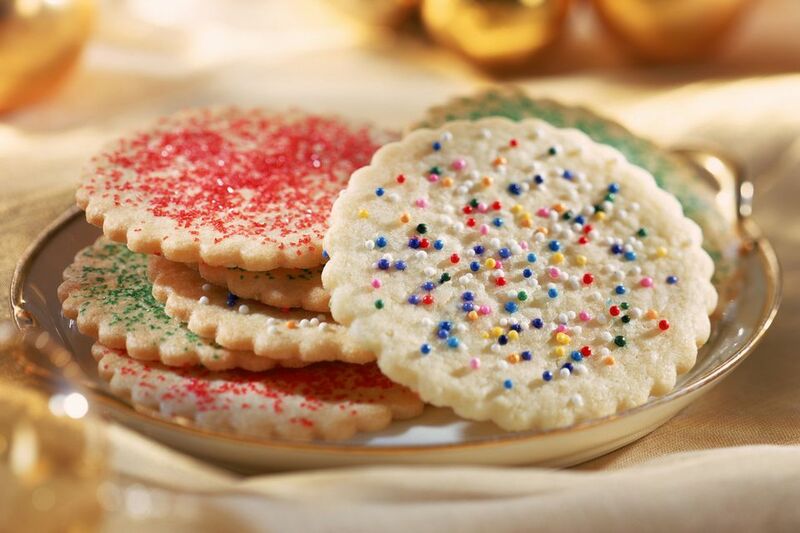 This sugar cookie recipe contains butter and vanilla. Scroll down to see more sugar cookie recipes. In a mixing bowl with an electric mixer, cream butter and sugar until light. Sift flour and baking powder together; stir into creamed mixture. Cover the bowl and refrigerate the dough for about 1 hour, or until dough is firm enough to roll. On a floured surface, roll the dough out to 1/8-inch thick and cut with cookie cutters. Makes about 6 dozen small sugar cookies, or fewer with large cutters. The recipe was shared on our forum by MillZ.